Biography Angel Lopez has been making music for nearly his entire life. He got his start playing congas, timbales, and bongo with his family at age seven. When he was eight, his mother moved the family to Chicago where he soon discovered R&B, and life was never the same again! Angel wrote his first song at the age of 12. He also began to break dance with his brother and friends after school at this age. He soon had his first encounter with Hip Hop--it was love at first beat! Lopez founded his first boy band at the ripe young age of 15, shortly after moving to Puerto Rico, the place of his birth. Shortly thereafter, young Angel's skills earned him a job singing backup on the Vico C album Hispanic Soul. His performance was so impressive that Vico’s Record Label PRIME ENT. signed him on the spot! 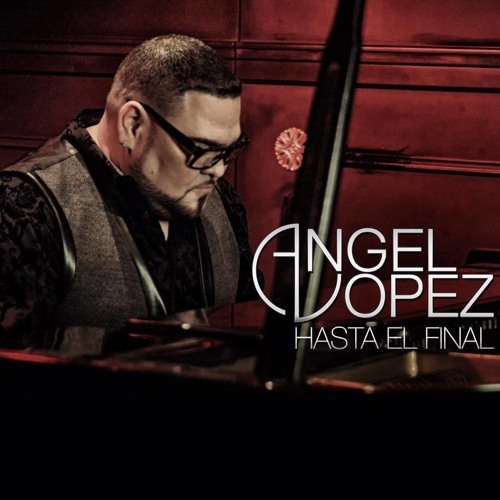 Angel Lopez released his first album, Angel,in 1990 at the age of 19. The album displayed his mastery of various genres such as R&B, Reggae, Hip Hop, and Pop. Angel released his second album, You and I, in 1993. This album earned him a two-month spot on Telemundo TV. In 1996, Lopez became the lead singer of Son by 4 and drove them to success with "A Puro Dolor", which sold over 10 million copies. The group also won the Latin Grammy for Best New Group. In addition, the group won Best Pop Song and Tropical Winner in 2001, and the Paoli award for album of the year in 2002. Since that time, Angel Lopez has gone on to do solo work with the albums En Mi Soledad and Re-Inventado,which have earned him several Top-10 tracks. Lopez's recent solo career has seen him working with artists such as Joey Montana, and urban artist from the group La Factoria. The two have burned up the charts with songs like "Que Dios teCastigue" and "No lo VuelvoHacer Mas No QuieroPerderte." Angel has also shared the stage with famous artists Michael Jackson, Tony Braxton, Victor Manuel, Ricky Martin, Shaggy, and 3 Doors Down--among many others. He performed the National Anthem for the Miami Martins in 2004--the same year he performed for George W. Bush in his campaign for re-election. Angel has so far had a great career--but the best is still yet to come! Make sure to follow him on his website and Facebook to follow the next exciting stage of his career--and enjoy great new music for yourself!